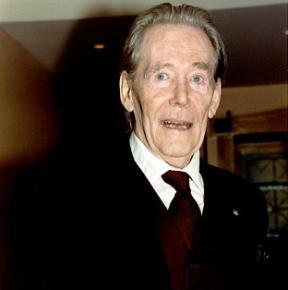 Screen legend Peter O’Toole was told he would “never make a reporter” by his editor after starting his career at a regional daily. Tributes have been paid tor the acclaimed actor, who died in hospital on Saturday after a long illness aged 81. O’Toole ,who starred in 1962 epic film Lawrence of Arabia, grew up in Leeds and left school to join the Yorkshire Evening Post as a photographic assistant. After a spell of National Service in the Royal Navy, O’Toole went on to study at London’s Royal Academy of Dramatic Art and became a well-known actor. He received an Academy Award nomination for his role in Lawrence of Arabia and received seven further Oscar nominations for his roles in films including Becket, The Lion in Winter and Goodbye, Mr. Chips. 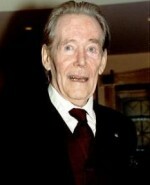 O’Toole missed out on the prize each time but in 2003, he received an honorary Oscar and last year he announced that he was retiring from acting. Following his death, his daughter, actress Kate O’Toole, said: “His family are very appreciative and completely overwhelmed by the outpouring of real love and affection being expressed towards him, and to us, during this unhappy time. His performance in ‘Jeffrey Bernard Is Unwell’ was superb. I laughed aloud when reading his memoirs. What a wonderful storyteller too. A true star. One piece of pedantry: Mr O’Toole worked for the long defunct Yorkshire Evening News, later incorporated into the Evening Post. I am surprised that a tribute to O’Toole on a website for journalists makes no mention of his role as Bernard. I’m sure it would have been particularly satisfying to him to have landed the part, given his own thwarted aspirations.